We have a bit of a tug-and-pull here regarding the self-help thing in that I push while the Viking tends to just do things himself because, well, it's kinda frustrating to watch things spill or get messy or be put on backwards when you're a perfectionist. I'm not one, so I say "Teach a man to fish" a lot around here. Because we home school, I get to work in life skills every day like making a sandwich--in progress--closing chip bags (still developing stage), using a knife to spread things, etc., etc. It's one step at a time, sometimes repeating steps several times before mastery, and sometimes, mastery is lost and must be regained. Does that experience differ from, say, how my NT-ish 6yo picks up life skills? Sure. So what? I love it when TH *gets it* and is excited to do things on his own. I've never felt, "Aw, but he should've been able to do X five years ago!" or whatever. He does it when he's able ... and, as you describe here ... when we step back and give some space to try. Another I think about a lot when I read about kids at different stages is, Those stages are going to pass--forward--to other stages. I'd NEVER have predicted (had I thought about it) where TH would be now, at age 11, based on what he was like and doing at age 5 or 7 or 9. I've seen that story for other children and heard stories like this from autistic adults. I can't say that the chronological age for a developmental milestone has been *any* kind of predictor for us for later outcomes. best momma ever for slowing down.. I know how hard it is to let things get done in a different way.. that may take longer. Leo is making such strides this year with the fine motor stuff. Jack too. woot! My only thought about your last line is that, yes, I accept and adore N just as he is, but that doesn't mean I don't work to give him the tools to be more fully himself and at the top of his N game. Which is what I do for my NT daughter as well. I definitely think that's what parenting is about...accepting them wherever they are, but then trying to move them forward on their own personal path. Yes? Or did I miss your point? @Emily I am a control freak. Which you can't tell by looking at the surfaces in my house (covered with piles) but you can tell by looking inside drawers and closets (part of the reason for the piles is that everything has to be put away correctly or not at all). So I get the messiness-abhorrence. But I also believe in teaching to fish. And yes, our kids have their own rhythms. @Jen, yay Jack! I'll keep my flask where he can't see it, in my bag. Heh. @TC, yay for your dog-herder, and that *is* the point I'm trying to make. I accept Leo who he is on his terms even as I support him and push him (and try not to overlook opportunities for) him to be his best self. Not some unreaslistic text book or NT definition. *Leo's* best self. 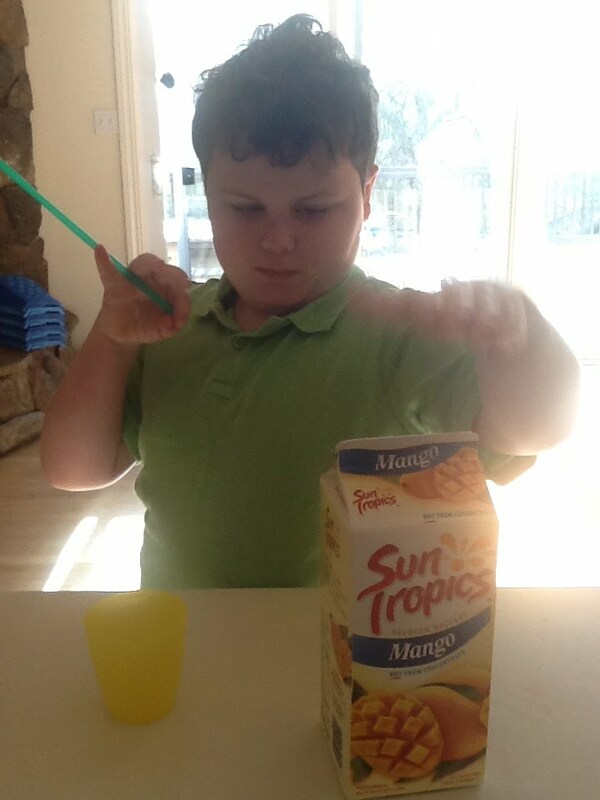 This year, in the interest of helping Ben develop a sense of independence and responsibility with some basic tasks, we've got a few simple chores for him and a weekly allowance. Unpack backpack, clear dishes, put dirty clothes in hamper, do homework and pack his backpack in the a.m.
Because we've been doing things for him for so long (I'm impatient and need things done NOW, and we've been in "rewarding using language for asking for things by responding to requests" stage longer than we've needed to be) when we started, his response was, with his typical candor, "What am I, YOUR SERVANT??" But he's getting into the groove, starting to require fewer prompts and, I hope, cultivating a sense of independence (and being part of our team as a family) bit by bit, even with these small things. I think you're right, Shannon. We can get in our kids way of them developing skills even when we have the best intentions. It takes work and mindfulness to notice when they - growing on their own timeline - are ready to do more and step back and let them do it. I love this post! What I think is so interesting is I see this w/NT kids all the time too. Maybe itt's not as dramatic always and it is seen in a different light, but it is there. Think of all the stories you hear about incoming freshman at colleges that don't know how to do the laundry or cook or clean. In those situations the assumption, is well no one taught them. Now they will have to be give a chance to learn and make mistakes so they can achieve greater independence and competence. As a (slightly) spoiled only child, I can guarantee you I was underprepared for a lot of real world things. Hi Shan! One of my parenting gurus, Rick Ackerly, just wrote a blog post about this very issue (focusing on NT kids). Education and parenting is as much an art as a science, and as I have said many times before, there are many good ways to parent, and no one right way. At the same time there are some not-so-good ways and taking on a child’s challenge when they are quite capable of taking it on themselves is one of the not-so-good ways. Love. Dude, he poured that carton himself? That's huge! (both in size & effort & skill) I can't pour milk w/o spilling some. (I think this is where the crying over spilt milk phrase began). And I always love when people embrace those little big accomplishments. Recently, my son's big accomplishment wasn't a self-help thing per se, but still awesome. He ate 1.5 rather large chicken nuggets. This is awesomeness embodied to me. And I'm fortunate to have friends & family who understand those little big steps & cheer when I announce them. Like, Nathaniel went down the slide himself! (When just getting near it used to be too hard). Pouring oneself juice is freaking huge.